Despite laws aimed at strengthening space for civil society in Sierra-Leone, events reveal that there remain several impediments to the full realisation of civic space rights. 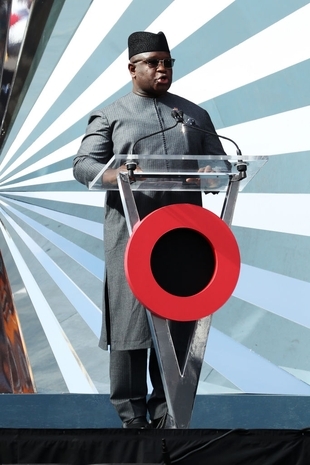 During a speech at the inaugural Media Cocktail, gathering over 120 journalists, editors and media owners, on 5th December 2018, President Julius Maada Bio said that his government was in 'an advanced stage' in the preparations to repeal part V of the 1965 Public Order Act that criminalises libel. "Part Five of Sierra Leone’s Public Order Act criminalises any publication that is deemed defamatory or seditious and has been used as a regime to unduly target and imprison media practitioners and silence dissident views." Despite the positive direction of travel, he did however also stipulate that the repeal does not "imply softening the legal regime or grant a carte blanche to journalists to defame people". Additionally, the president said that a budget was foreseen for a subvention with the Sierra Leone Association of Journalists (SLAJ). President Bio had already made the commitment during the state opening of the Parliament on 10th May 2018, to "repeal the seditious libel law", encourage investment by the private sector in the media, and provide budgetary support to SLAJ, among others. On 16th January 2019, supporters of the political opposition party All People’s Congress (APC) attacked five journalists from the media group Africa Young Voices (AYV). According to a statement by the Sierra Leone Association of Journalists (SLAJ), the journalists gathered at the residence of the former president Ernest Bai Koroma in Makeni, when they were attacked by APC supporters and their equipment was seized. The Media Foundation for West Africa (MFWA), who spoke with a source within AYF, said that the five journalists were attacked after the APC party’s district deputy organising secretary asked the journalists to leave and accused them of being aligned to the ruling Sierra Leone People's Party (SLPP). AYV later filed a complaint with the Police and threatened to boycott future APC events in case of further attacks. "This nonsense must stop. The APC cannot continue to treat journalists as enemies and physically attack them whenever they have an issue. The Police should not wait for another journalist to die before they take the necessary action. This impunity must end." "Since SOCFIN began its operations communities opposed to its land deal have been systematically criminalised, culminating with last month’s tragic events, and hundreds of land rights defenders have faced arbitrary arrests and judicial harassment." Doctors in Sierra Leone's public hospitals went on a strike on 4th December 2018 to condemn the low wages and poor working conditions. The strike followed a twenty-one day ultimatum initiated by the Junior Doctors Association of Sierra Leone (JUDASL), and later followed by the umbrella union Sierra Leone Medical and Dental Association (SLMDA). The strike ended on 18th December 2018. In a joint statement of the Ministry of Health and the heads of the JUDASL and SLMDA, the government agreed to "on a timeline to respond to all concerns raised that will invariably start to improve the delivery of healthcare in Sierra Leone. This is in line with the government’s commitment to improve healthcare delivery and conditions of service for health workers nationwide." The strike paralysed the already vulnerable health system in the country. The 2014-2016 Ebola crisis in the country killed 250 health workers of a total of 4,000 people. Article 26 of the Constitution provides for freedom of association. Article 26 of the Constitution provides for freedom of association. NGOs must register with the Ministry of Finance and Economic Development and operate within the framework of revised NGO Policy Regulations from 2009. The regulations state that NGOs must renew their registration every two years; failure to do so results in termination of the organisation’s operations. Organisations are also subject to a requirement to report annually. Reports must including all projects implemented, donors’ details and other supervisory requirements. Human Rights Defenders face harassment, threats and intimidation, especially those working on land rights and corporate accountability. Article 26 of Sierra Leone’s constitution provides for freedom of assembly; however it is regulated by the Public Order Act (POA) 1965 and the Police Act, 1964, laws which impose some limitations on this right. Article 26 of Sierra Leone’s constitution provides for freedom of assembly; however it is regulated by the Public Order Act (POA) 1965 and the Police Act, 1964, laws which impose some limitations on this right. For any meeting of ten persons and above, a permit must be secured from the Commissioner of Police 48 hours before the meeting commences. To convene a public meeting anywhere within the provinces, the permission of the Paramount Chief of the Chiefdom must be sought in writing. Although, there is no reliable information on the number of requests to hold rallies that are denied, restrictions regarding public gathering or demonstrations are provided for in section 19 of the POA. Police have also used excessive force to disperse peaceful protests, especially during the state of emergency which was sparked by the Ebola crisis in 2015. Freedom of expression is constitutionally protected in Sierra Leone. Freedom of expression is constitutionally protected in Sierra Leone. However, legislative restrictions are still in place, for instance the Public Order Act which criminalises defamatory and seditious libel and the publication of false news. This legislation is used by the authorities to prosecute journalists critical of the government. Journalists who criticise the government are also are subject to intimidation and harassment and even detention. Although several newspapers are published in the country, all of the information is printed in English which limits proper access to information for the majority which does not speak or understand English. Since 2013, Sierra Leone has benefitted from an access to information law, however its proper implementation is still lacking. During the 2014 Ebola crisis, the government used powers granted by the state of emergency to silence and arrest journalists critical of government policies.